Aegis Media has appointed two regional executives in an effort to strengthen its Asia Pacific investment team. Gaurav Sharma joins as regional productivity director from Zenith Media in Vietnam where he held the role of business director. Jennifer Choo, former media manager with OMD Singapore, takes on the role of regional investment manager. Both will be based in Singapore and report to Sunil Yadav, regional investment management director. In conjunction with the first anniversary of its Singapore-Taipei route, TransAsia Airways has launched several online initiatives to reward its fans on its Facebook site. For its Singapore fans, potential passengers can make bookings with the Taiwanese airline on its Facebook booking portal, adding another dimension to the airline’s existing online booking capability. Additionally, TransAsia Airways also launched a Facebook photo contest to thank fans for their support. Contestants stand a chance to win a pair of Economy Class return tickets to Taipei. The contest will run until 30 June. 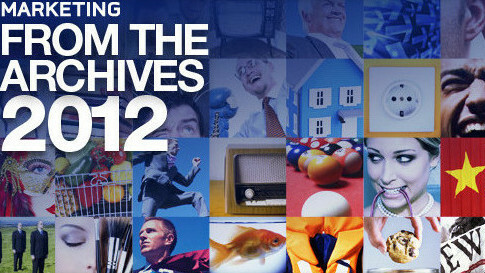 BBC Knowledge achieved highest share of viewing with the recent The Queen’s Diamond Jubilee Celebrations that was broadcasted live from 1-5 June. The channel took top spot among factual, non-kids, English language pay TV channels in Singapore for most of primetime slots from 8 to 11pm. The programmes included The Diamond Queen on 1 June, Crowning a Queen on 4 June, and Days that Shook the World – 1953 Coronation on 5 June. In Asia, BBC Knowledge is available in Singapore, South Korea, Hong Kong, Thailand, Taiwan, Malaysia and Indonesia. Though some Chinese netizens say the ad is racist, the majority of Weibo users think the public should be open to different aesthe..
Read also confirmed the retiring of Paul Richardson as group finance director after 22 years. ..
LOOK Fancy a ride on a Hello Kitty bus anyone?